Rosacea is a complex and mysterious syndrome that is as yet not well understood by the medical community, although its results can be devastating to sufferers. Rosacea has long been correlated with a depressed immune system and symptoms include persistent or unusual flushing or redness, visible blood vessels, thickening or scaling of skin, pimples, white heads, blackheads, enlarged pores, pustules and bumps, and in some cases red, irritated eyes and scaly, flaky eyebrow skin. Even though millions of people spend millions of dollars in search of a product that can provide relief from Rosacea symptoms, natural remedies for Rosacea are popular with people who are confronted by frequent outbreaks. Natural remedies for Rosacea are available through many sources. At this time, Sea buckthorn, a promising treatment for Rosacea, is a great alternative to laser surgery. Sea Buckthorn, having a deep red oil that obtains its color from its high carotene content, is a natural wonder. It is the most potent source of palmitoleic acid (Omega-7), which supports cellular regeneration. And it is one of the best known natural sources of Vitamins A, C, E, and contains carotenes, flavonoids, omega 3 and 6 and numerous minerals and amino acids. Its Vitamin C content is higher than that found in oranges. It has long been used to treat burns (this includes damage from the sun as well as from therapeutic radiation treatment), laser surgery, acne and dermatitis, rosacea, and eczema. Here are the benefits of Sea Buckthorn oil on rosacea sensitive skin. Inflammation is an extremely complex cellular and biochemical reaction. The inflamed cell sends out the signal. The skin’s defenses mobilize and the repair process begins. Clinical experts claim that Sea Buckthorn applied topically will provide skin with essential ingredients (essential fatty acids), phospholipids and antioxidants aiding in the skin’s defense and in repair process of the skin tissue. Read more about sea buckthorn for skin ailments here. Sea Buckthorn oil is an excellent source of essential nutrients for regulating moisture and sensitivity of skin. A study was designed to evaluate the efficacy of Sea Buckthorn oil capsules to reduce the signs of aging through measurements of skin hydration, elasticity and skin roughness. In the clinical study, 30 healthy women average age of 61 years took 2 capsules twice a day for three months. Skin hydration study results: A highly significant increase in skin hydration was recorded during and after the treatment. Increase in moisturization after one month, 33.6%; after three months, 48.6%. Antioxidants are the prime protection from the sun’s glare and other environmental pollutant aspects that affect the skin and exacerbate Rosacea symptoms. Sea Buckthorn contains more than 10 times the amount of vitamin C found in oranges giving you the maximum benefits of antioxidants. Antioxidants protect the cell walls and DNA structure. It also improves the skin texture and pigment distribution. One of the major benefits of Sea Buckthorn oil on rosacea skin is its role as an anti-inflammatory. Learn more about sea buckthorn’s impressive antioxidants here. Applied topically, it has demonstrated consistent efficacy in nourishing and restoring skin. It helps restore sun-damaged skin, skin injuries, lesions, abrasions, and eczema. It is applied topically for burns ranging from sunburn to heat and chemical burns. In a preclinical study on rats to evaluate healing potential of sea buckthorn leaves on cutaneous excision-punch wounds on skin, extract of sea buckthorn leaves were applied topically to the specimen’s wounds twice daily for 7 days. The researchers reported that a topical application of 1.0% sea buckthorn leaf extract statistically significantly augmented the healing process, as evidenced by increases in the content of hydroxyproline and protein as well as the reduction in wound area when compared with similar effects in response to treatment using standard care ointment. It was suggested that aqueous leaf extract of sea buckthorn promoted wound healing, possibly due to increased antioxidant levels in the granulation tissue. There are reports Russian cosmonauts, to protect their skin from cosmic radiation, used Sea Buckthorn cream. Learn how the Russian cosmonauts used sea buckthorn for radiation protection in space here. Sea Buckthorn may become the next great discovery for skin remedies such as rosacea. 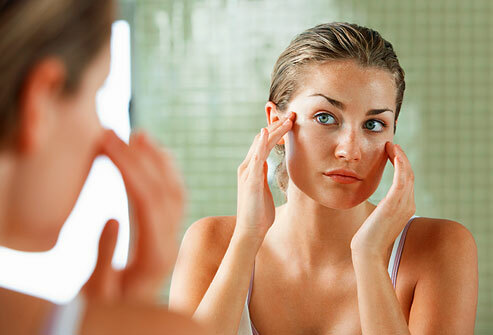 If you suffer from this skin condition you may want to try it for yourself. Sea buckthorn and Rosacea Cause and Effect Published by Seabuckthorn International Inc. 2006. ← Cancer Prevention and Treatment: Can Sea Buckthorn Help? Hello, I’m wondering if your product would be heipful to someone who has just recently developed very dry skin with rash (eczema) within the past year. She is a kidney transplant recipient of 19 years and does take many drugs. Her nephrologist doesn’t believe this condition is related to the disease. The only way to really know would be to try it. Best recommendation would be to take a sea buckthorn blend internally and to also apply the oil externally on the skin. After 1 months use their should be some results that indicate how helpful it is. As far as being a kidney transplant and her drug schedule … sea buckthorn is just a fruit oil. It’s a very powerful berry but it’s still a fruit. There shouldn’t be any concern with drug interactions, etc. Do you mean Seabuckthorn oil or Seabuckthorn Berry oil for Rosacea skin? Also would that be used topically or orally or both ? Both oils are great for supporting skin cell health. We recommend using oils internally and externally at the same time for best results. Although the exact cause of Rosacea is not known, it is thought that anti-inflammatory foods like sea buckthorn oil can help. Though both are great for skin health, the fruit oil has high amounts of Omega 7 which is especially great as an external skin treatment. Alternately, you can add the fruit oil to lotions or other body care products in small amounts to mitigate the dark color of the oil. There are also lots of sea buckthorn skin care products on the market these days which are very helpful with softening scars. Just be careful to read the ingredients panel before you start using them. Many products use Sea buckthorn in the product name but have low amounts of sea buckthorn. Is the omega7 brand of sea buckthorn oil made from the seed or the berry? I read online that its made from the berry but the box says both.i have read also that the seed oil is better for rosacea. Is this true or is the berry better? Is it ok to put the oilfrom the capsule on my face or is it available in liquid form. Sea buckthorn fruit oil has Omega-7. We don’t sell a product so you will have to confirm with the company you bought yours from but some brands do put both kinds of oil in their products. A blend of the two oils would probably be best, since the the seed oil has anti-inflammatory properties and the fruit has skin supporting Omega-7. 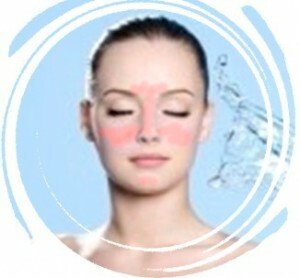 The combination would probably be ideal for rosacea. Again, you should confirm with the company you bought it from but you should be able to the oils from your caps on your skin.